Behind the scenes, the monks prepare themselves for weeks ahead of the festival, involved in deep prayer and meditation prior to the festival. 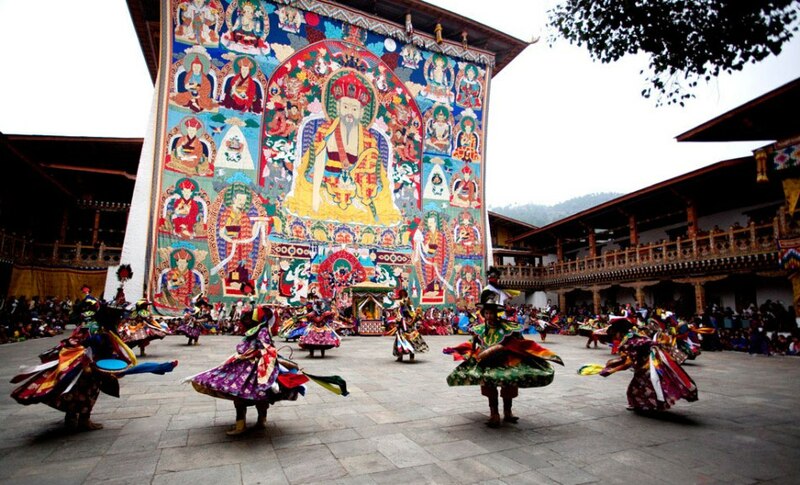 The monks perform special masked dances that are inspirations of enlightened beings in history; and the Bhutanese believe that watching these mystical dances is essential to gain enlightenment. 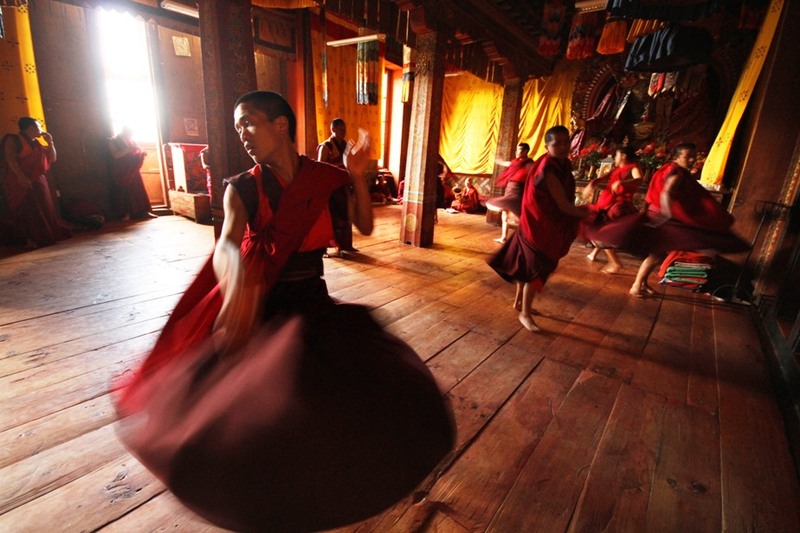 The tsechus are a rich form of the oral history tradition where the Bhutanese pass on values, mythology and spiritual beliefs through the dance dramas. Many of the tsechus culminate with a rare display of a giant silk applique thangkha (painting) depicting Guru Padmasambava or some other important Buddhist deity. People’s deep faith and devotion make these festivals a special occasion. At the same time, it is also an opportunity to join hundreds, and even thousands, of Bhutanese in taking part in an important religious and social occasion that often exudes a carnival atmosphere. 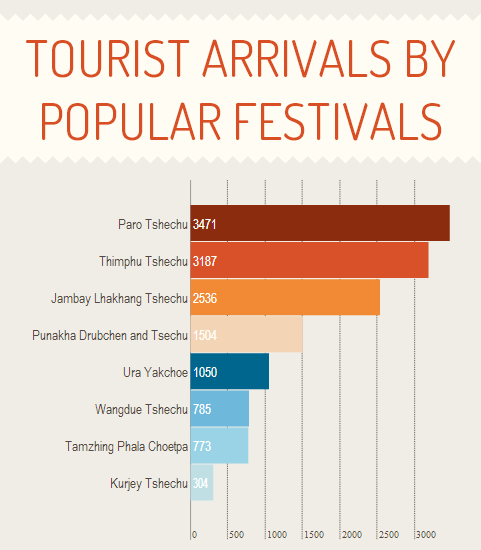 Paro and Thimphu Festivals are by far the most popular festivals in Bhutan. There are two main reasons why they are so popular. Firstly, they are located in the Western part of Bhutan, an hour drive away from the airport. So it is possible for you to do a four days visit just to attend the festival. If the festival is taking place in Eastern Bhutan, you would have to visit Bhutan for a minimum of 10 days. Secondly, Paro and Thimphu Festivals take place in spring and autumn respectively, 2 of the best seasons to visit Bhutan. Three years ago, we would usually recommend travelers to books at least six months before their travel dates. With the growing number of hotels in Bhutan, we can usually accommodate travelers on last minute notice. However, do note that experienced guides are in high demand during this period. If you do have some flexibility with your travel schedule, we would recommend going for less popular festivals. What if you can’t catch the festival? Preparation for the festivals starts weeks before the festival itself. If you are in Bhutan but won’t be able to catch the festival, do visit the Dzong, and you may be able to catch the monks practicing and preparing the material for the festival. This is a great photo opportunity since the materials used for prayer are colourful. This visit can be a meaningful opportunity if you have caught the festival somewhere; you have the chance to see the faces behind the masks and spend time speaking to the monks on the origin and meaning of the festival.